Your students will love practicing their sight words with this activity. 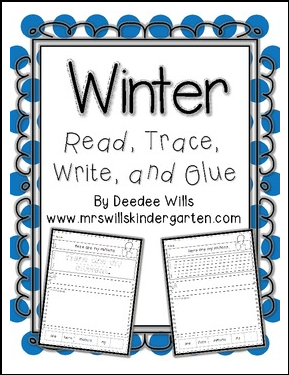 Students will read, write, re-arrange, and illustrate sentences with a winter theme. This can be used as a center activity or independent practice. Save more than 20% on the bundle! You will get this file plus every Read, Trace, Glue and Draw I have ever made or WILL ever make.